Lovable pets are a source of comfort and enjoyment for many people, but this is especially true for seniors. Older pets specifically can provide seniors with companionship without the need for the house training and attention that are required for younger pets. If your parent or other loved one enjoys pet ownership, November’s Adopt a Senior Pet Month is the perfect time to consider all the benefits of having pets in your life. Pets lead to increased activity. Study after study has shown that pet ownership can lower blood pressure and reduce stress, mostly due to increased physical activity and more positive social interaction. Physical activity will benefit the senior pet as well. It will require the pet to exercise its joints, and it could improve the pet’s muscle tone and ensure that the pet maintains a healthy body weight. The pet’s mood can be positively impacted by the activity as well. Social interaction becomes more common. Owning a pet leads to social interaction in more ways than one. First, the owner interacts with the pet one-on-one, be it watching a TV program or giving it a bath. Another benefit of having pets in your life is the physical contact. Petting a cat or dog can be just as therapeutic as a warm hug from a child or another adult. And finally, people love pets! As soon as strangers, acquaintances, or friends see you with an animal, they often see it as an invitation to chat with you about what type of dog it is, how old the cat is, and what words the parakeet knows how to say. When you own a pet, it’s all about living in the moment. Pets don’t need much other than your love. Your furry friend will be happy enough just sitting beside you. This is especially true regarding older pets, which are often the last to be adopted from a shelter. 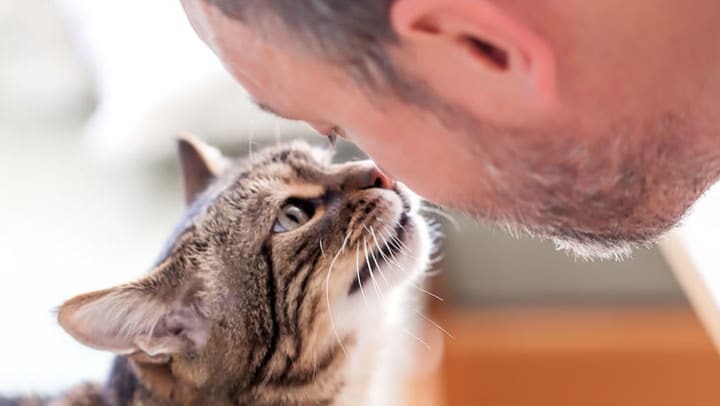 For these reasons and more, spending time with a pet can provide one with a more positive outlook, an improved mood, and something fulfilling to focus on. Additionally, there are many social media sites for pet owners to communicate with each other and even help their pets gain some four-legged friends. At Waltonwood Senior Living, we appreciate and realize the benefits of having pets in your life. Waltonwood regularly provides pet therapy for residents, and welcomes pets in most of the senior living residences. Our residents also make treats for pets and visit pets at local shelters to provide the pets with additional care and attention. To learn more about Waltonwood’s pet policies and special events, contact Waltonwood online to speak with a member of our team.